Okay guys. This is the best recipe I've found in a long time. I'm serious. It's fancy enough for special occasions or for having company over (looks so elegant on a platter! ), but you can do a lot of it ahead of time, and it's not super-hard, and it tastes so good! Don't leave out the sauce either; that's delicious too! Recipe loosely adapted from here (pork) and here (sauce), and the comments on both. Directions: 1. 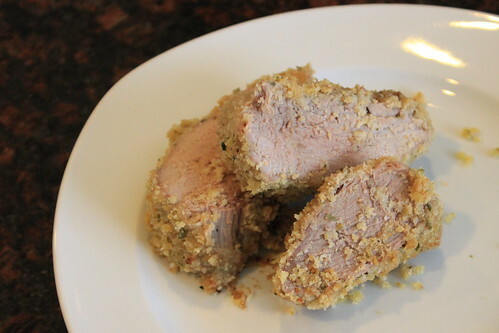 Trim fat from the tenderloins. 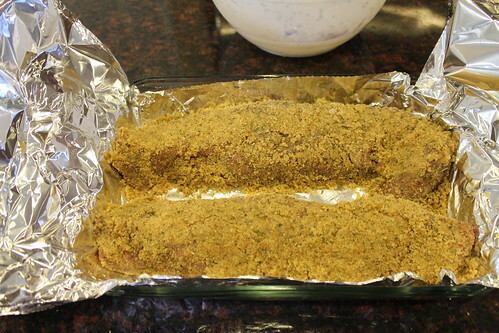 Rub both tenderloins all over with garlic powder, salt, pepper, and oregano. (Do this to your own tastes. I like to use a LOT of oregano and pepper, slightly less garlic powder, and just a little salt - we try to keep a low sodium diet). 2. Put the seasoned tenderloins in a large Ziploc and allow to marinate in the fridge for at least 2 hours (I just make mine the day before and let them sit in there overnight). 3. In a small bowl, mix the olive oil and bread crumbs. Use more or less oil to reach a consistency that is moist enough to stick the the pork when pressed. 4. 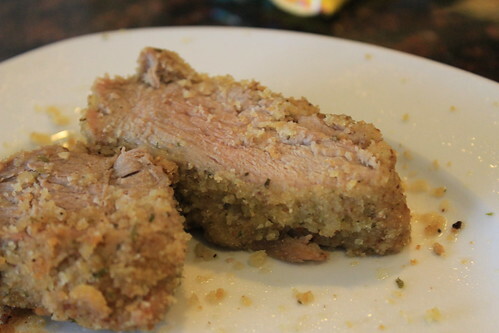 Press the crumb mixture onto all sides of both tenderloins until there is no pink showing. Use all of the crumb mixture, even if it seems thick. 5. 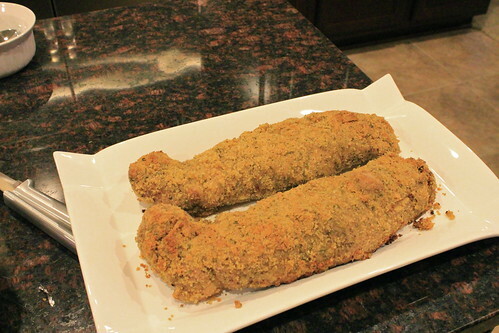 Put the breaded tenderloins in a shallow baking dish lined with a LARGE piece of foil. Lightly spray the top of the tenderloins with olive oil spray (or cooking spray). 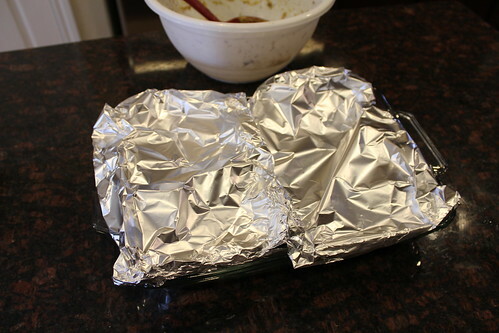 Tent the foil on top (this will prevent the breading from burning). 6. 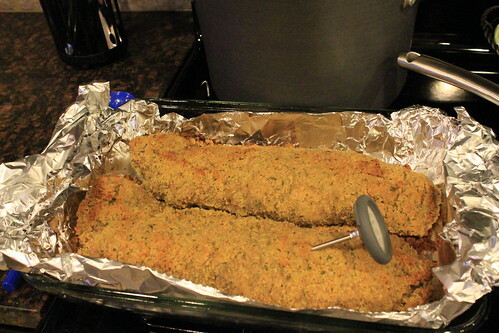 Bake at 425 until a meat thermometer reads 150 (about 30-40 minutes for 3 lbs of pork tenderloin). Undo the foil tent to uncover the pork for the last 10ish minutes. (Measure the cooking time with the thermometer rather than the clock; it's really easy to let it go too long and end up with dry pork). 7. While pork is cooking, make the sauce. Melt butter in a saucepan over medium heat. 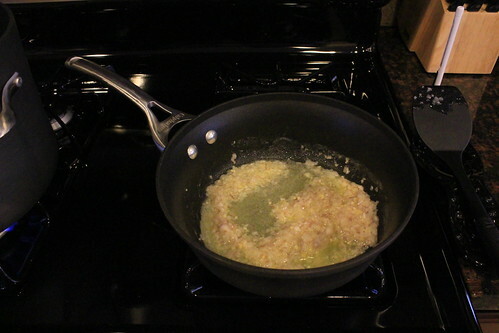 Cook shallots, garlic, and onion in butter until soft. 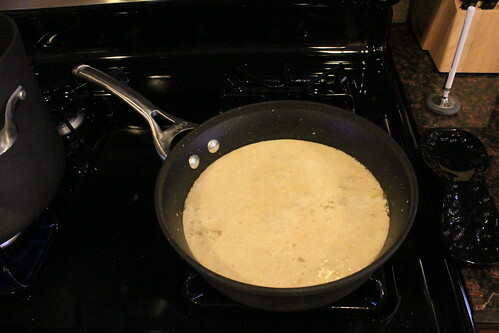 Add in the flour and whisk until combined. Stir in Marsala, mustard, and heavy cream. Continue cooking, stirring frequently, until the volume of the liquid has reduced by 1/2 (this takes about 20-30 minutes). 8. 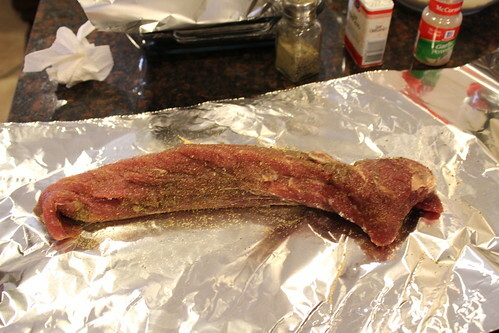 Let the tenderloins rest for 10-15 minutes before cutting into slices. (This is important - it gives the juices time to redistribute).